Jobs for America’s Graduates (JAG) is a state-based national non-profit, working with young people who are most at-risk. In more than three decades of operation, JAG brings consistent, compelling results, helping students stay in school through graduation, pursue post-secondary education and secure quality employment and sustaining jobs and careers. Youth unemployment is at a record high, especially for urban and minority teenagers, and we know this impacts their lifetime earnings and prospects. Yet at the same time, AT&T and other businesses are struggling to find workers who have the mindset, habits, and skills to help us succeed. Click here for the full article. Looking for more JAG workers! 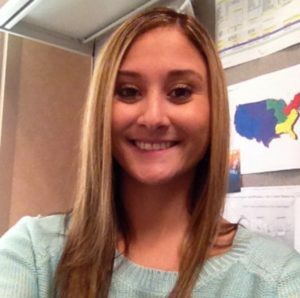 Like many Connecticut employers, Neysha Flores, above, a vendor services supervisor with National Waste Associates of Glastonbury, is continually looking for workers who are smart, willing and able to learn, and who have the good work habits to fit in and help her company. 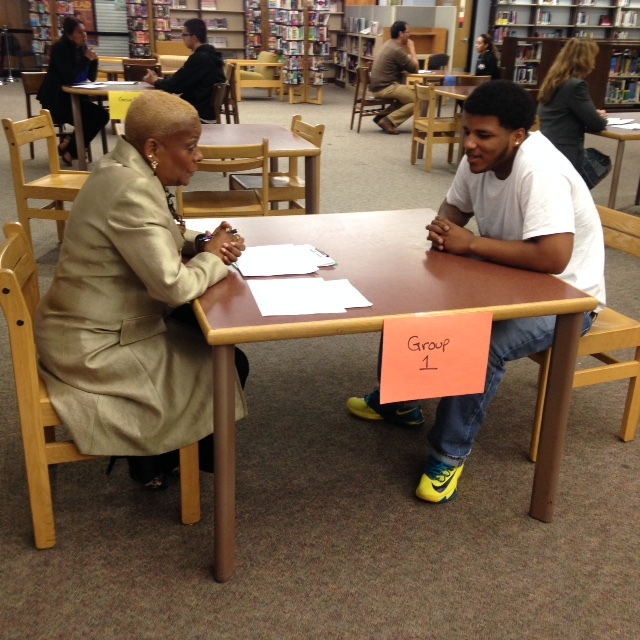 In JAG, Neysha found a great worker, and she would like to find more. 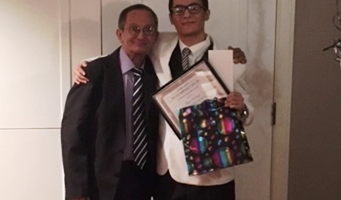 “Rossana came to us without any business experience, but she impressed us from the first interview, and she has gone on to learn many different elements of our business,” Neysha said, of Rossana Bustamonte, a Manchester High School JAG student she hired six months ago. “When she interviewed with us she was well-spoken and outgoing and made a very good impression. She’s doing a really good job, handling everything from cold-calling new vendors to dealing with emergency situations and different types of contracts. Congratulations to Zakeyah Herring of James H. Hillhouse High School in New Haven! 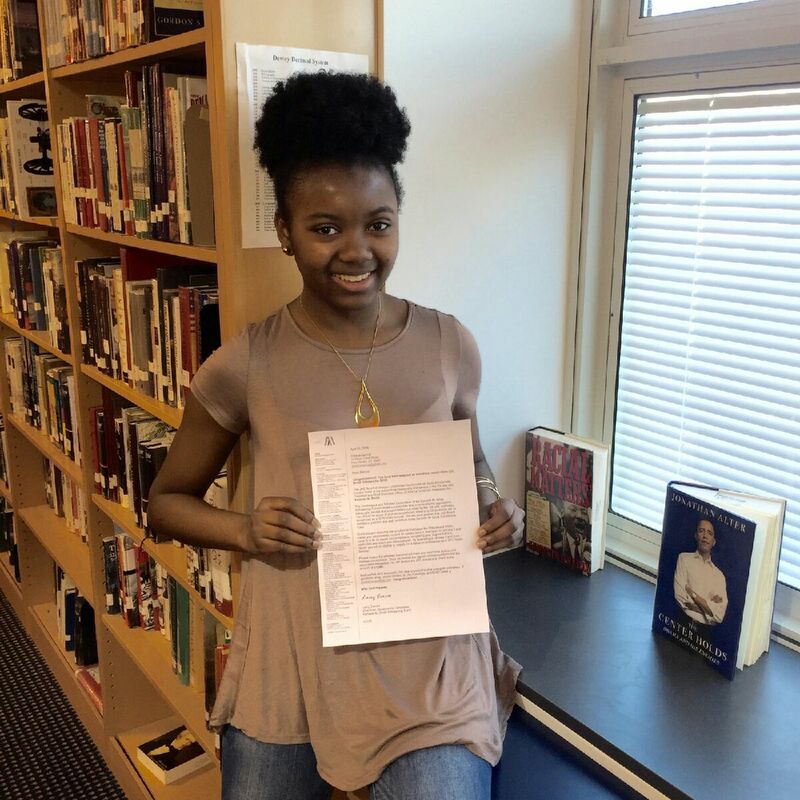 Zakeya received a $1,000 Kenneth M. Smith Scholarship. The scholarship, named for JAG National President Kenneth M. Smith, is open only to JAG students; Zakeyah was one of 23 recipients, from 108 applicants from around the country. The scholarship is renewable next year. "My support for JAG is also that it is not an adjunct program; it is really built into the school day. "The strength of this program… is designing backwards from what we want graduates to look like in the end. Working with industry the message is consistently same: They want graduates that think and can problem solve and have the habits of mind to be part of an organization. The JAG Program, and schools that have that focus built in as part of their day, are better able to achieve this. The JAG program really focuses on teaching explicitly those soft skills and what we call habits of mind . You don’t always find that in conventional education." "Having been in education for a long time, I have never had a role like this, and it’s very rewarding." 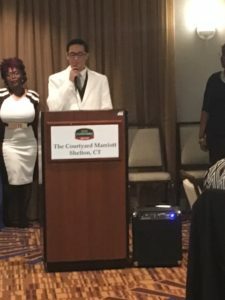 Jobs for America’s Graduates (JAG) is a state-based national non-profit organization dedicated to preventing dropouts among young people who are most at-risk. In more than three decades of operation, JAG has delivered consistent, compelling results – helping nearly a million young people stay in school through graduation, pursue post-secondary education and secure quality entry-level jobs leading to career advancement opportunities. 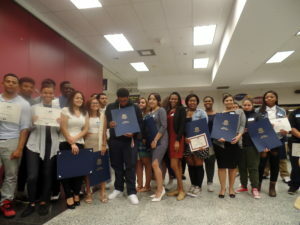 Graduation is near and students have been gearing up for life after high school. 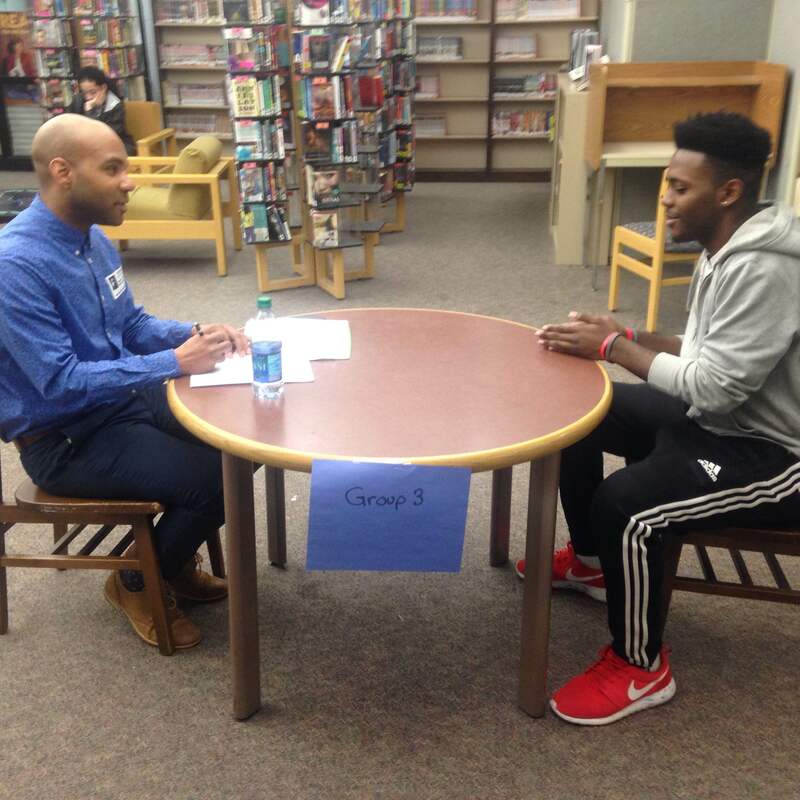 On April 28, 2016, students in the JAG Program at New Britain High School participated in one-on-one mock interviews with numerous professionals in the school and in the community. Before the interviews, students chose an appealing position that they would apply to in real life and began doing research on that specific establishment. Students identified their personal strengths and aligned them with the company’s mission to make meaningful connections with the potential employer. Students said that this experience has really prepared them because they now have a better idea of what to expect in an interview setting. Students found it beneficial that interviewers did not only ask the questions they had anticipated, but they also included follow-up questions that caught them off guard. 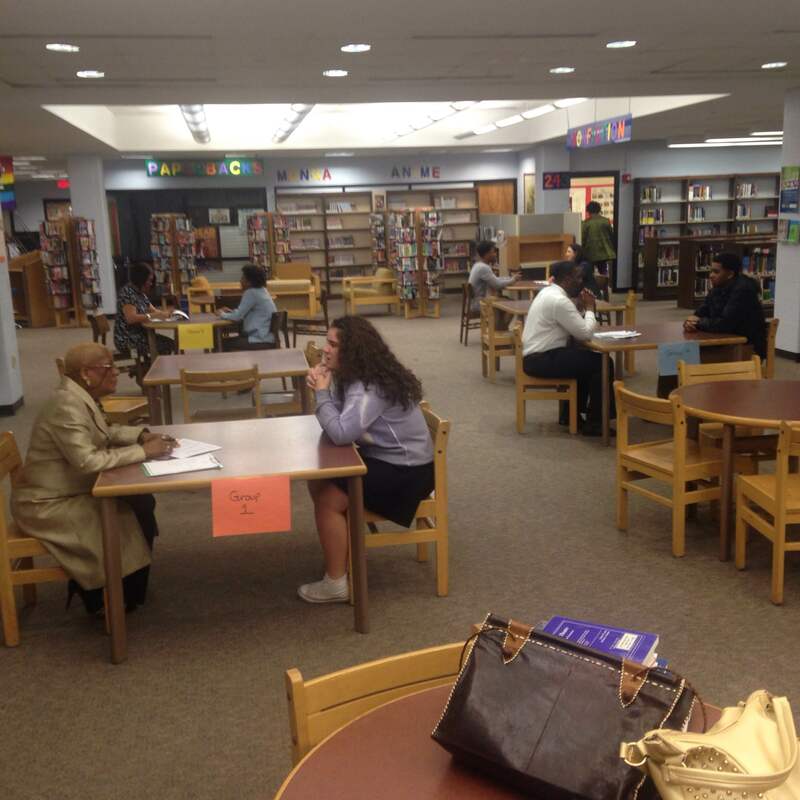 There were three to four interview stations set up (depending on the class size during that period). Students were matched with an interviewer and were given 10 minutes to sell themselves for the desired position. 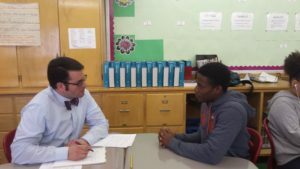 After the 10 minutes spent with the “employer” was up, the students were given both positive and negative feedback on things they did well and things they could improve upon for future interviews. Samantha Kilduff stated “as a JAG participant, I was honored to have the chance to get constructive criticism on a lifelong skill that can open so many doors for me. Having Ms. Fox as an interviewer was challenging, but the best opportunity because she is so efficient at interviewing. I appreciate that she took the time out to help me become more ready for the interviews I’ll come across in the near future. I now feel ready and confident for my soon to come interviews. Mock interviewers included: Paulette Fox (Executive Director of O.I.C. ), Chez Chamberlain (Career Competencies Classroom Instructor of O.I.C. 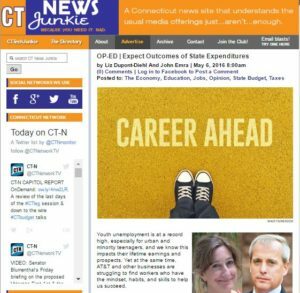 ), Liz-Dupont-Diehl (CT JAG Director), Sondra Sanford (Finance Teacher at NBHS), Jenny Jimenez-Sullivan (Career Center Specialist at NBHS), Christina Lumbreras (Engineer at Arris), Andres Sovero (CCSU TRIO Program), and Keylon Levine (JAG Specialist at Hartford Public H.S. ).